Bull Bars Banned in India - Are Bull Bars Good for Cars? 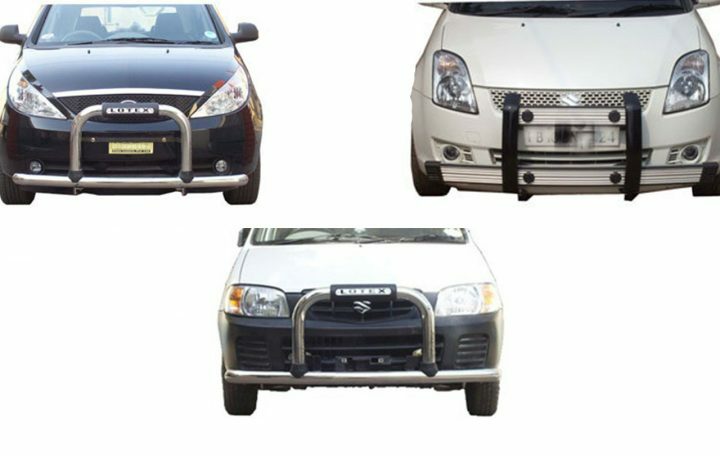 The Ministry of Highways and Road Transport in India has decided to issue an immediate ban on usage of crash guards aka bull bars on cars and SUVs in India. While it may be noted that use of bull bars has always been illegal in the country, it is only now that the authorities have decided to crack down on the offenders. With this, the Ministry has issued instructions to transport commissioners from all states across India to ban usage of crash guards/bull bars on cars and SUVs with immediate effect. Strict action will be taken against the offenders. So, are the bull bars banned in India? Yes, finally, we’ll have no car and SUV running with these contraptions. As per the Section 52 of the Motor Vehicles Act, it is in violation of law to have any unauthorized fitment on cars and SUVs. Crash guards/buil bars too come under this rule. Under the Section 190 and 191 of the Motor Vehicles Act, traffic police can impose a fine on owners of vehicles with bull bars. Are Bull Bars Good for Cars? Today, most cars have either of the two kinds of chassis – Monocoque or Ladder on frame. The former is found in most road going cars we have today, with the usage of latter restricted mostly to bigger vehicles such as trucks and buses. For a layman, like you or me, a monocoque is a setup where the chassis is a part of the body itself! Basically, this setup compromises of a body shell that has been strengthened at strategic points to eliminate the requirement of an extra chassis! Coming back to the topic, every car on sale today has been designed to absorb/re-channel forces in an event of a crash. This is done in a way that the passenger cabin is the most protected part of the car. By introducing an extra element, such as a bullbar, the original design is disturbed, as the bullbar is fitted directly to the car’s frame, thereby bypassing the bumper and rendering it functionally useless. In case of an impact, the force is transmitted directly to the car’s frame, which is then passed on to the passenger cabin, completely bypassing the bumper and crumple zone! Ultimately, the passengers are prone to sustaining injuries, while the chassis has high chances of getting misaligned! Oh . . you do end up saving the bumper! Also, fitting a bullbar might also lead to malfunctioning of airbag sensors! It maybe noted that airbags are triggered by strategically positioned sensors, which read the severity of an impact and choose to (or not to) launch the airbags. Fitting a bullbar however, poses a potential threat to the effectiveness of these sensors. The result? Higher risk of injury or death of the passengers, all due to the malfunctioning of the airbags. So, are you happy that the bull bars banned in India? Share your views with us by writing them down in the comments section below.